Frisky-Nineteen is a family owned business and has been in the industry for over twenty years since 1991. Frisky started out in Israel, and after five years of continuous growth and success, developed a division in Europe. In 2002, Frisky joined the U.S. Market, as a wholesale distributor of sandals, flip-flops and Aqua shoes for men, women, and children. We have expanded our line to include slippers, children’s sneakers, and rain boots. 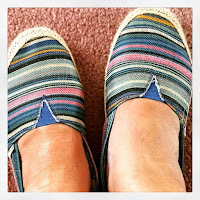 Oma received a pair of Blue Frisky Stripe Canvas Shoes. 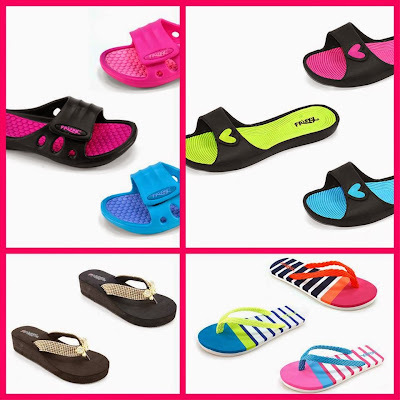 They are very comfortable and slip on easily, yet stay on snugly. 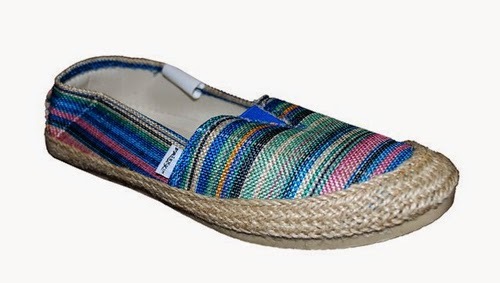 You can wear them with or without socks. I love the way they look with my denims. 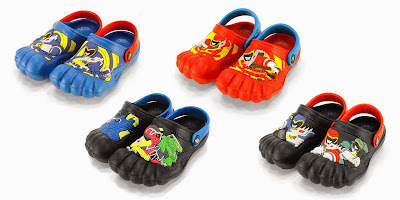 These shoes are just what you need if you want something a bit dressier or to provide a tad more protection than your flip-flops. Check out their website – especially their sale section; there are so many cute things to choose from. 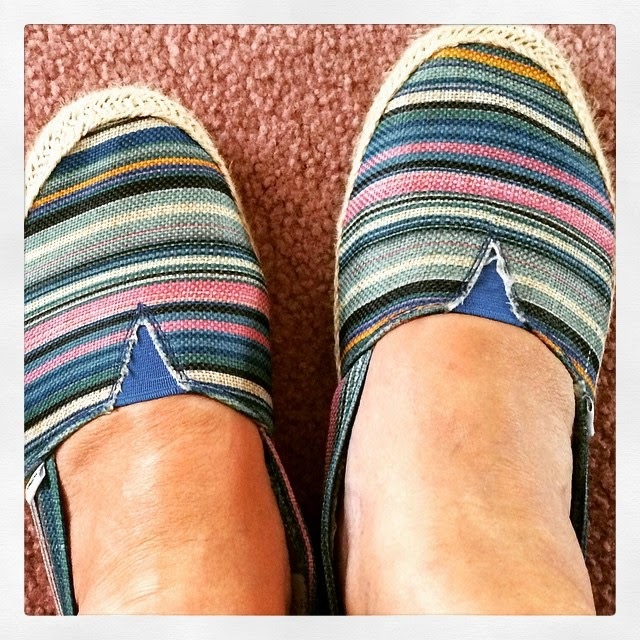 Tip: I bought a half a size larger than my normal shoe size and they fit dreamily. 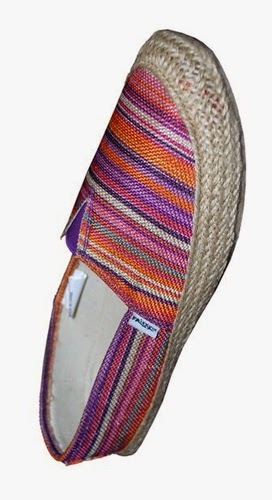 These striped canvas shoes give a laid back bohemian vibe to any outfit! They pair perfectly with either dresses or pants – just in time for summer. 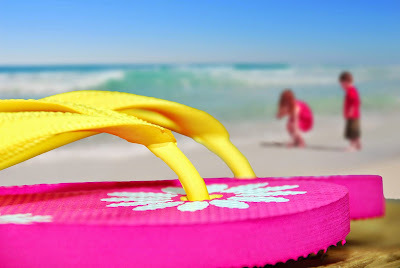 Next best thing to going barefoot. Company Mission: To continually provide high quality, stylish, affordable shoes as well as becoming a well-known brand world-wide. 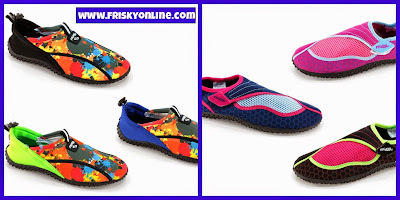 Frisky Shoes is a Wholesale & Retail Distributor of affordable shoes such as: Sandals, Flip Flops, Aqua Shoes, Clogs, Boots and much more for the entire family.